My mom used to make a mix for our family growing up and then I made for mine. It was good, but I have taken the base and kicked it up a notch or two and I think it is better than the expensive kinds you buy in the cans. 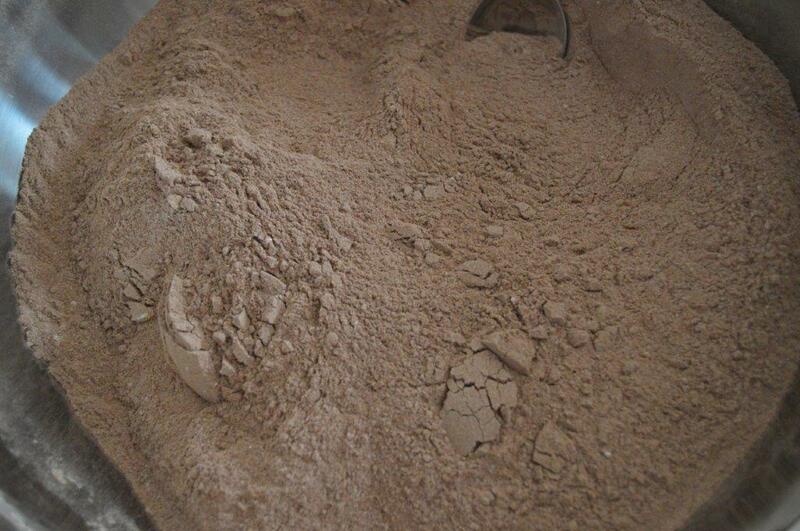 You can make it a dark chocolate or a more mild milk chocolate; depending on your taste. Serve with whipped cream, marshmallows, candy canes – whatever your heart desires. It’s homemade and EXTRAORDINARY! 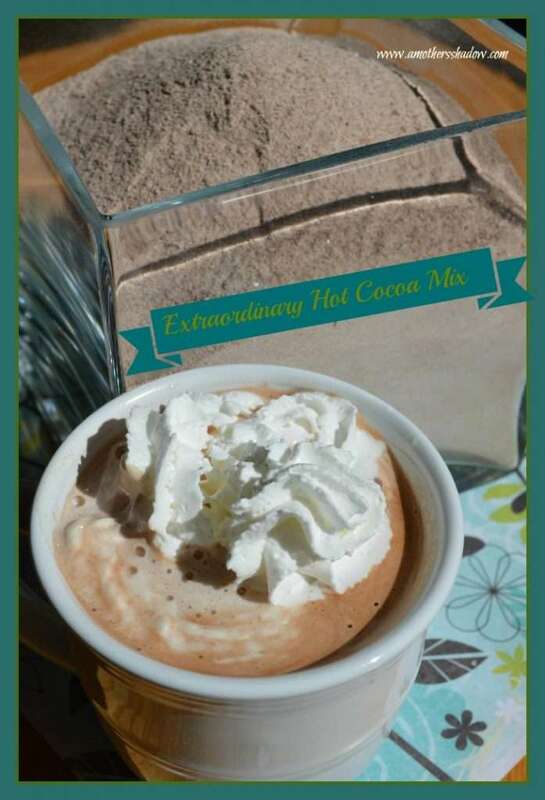 2 Tablespoons – 1/2 cup of dutch processed cocoa powder – the amount depends on how deep you like your chocolate flavor, a few Tablespoons for a mild hot chocolate, more for a darker chocolate flavor – the better quality, the better your product. 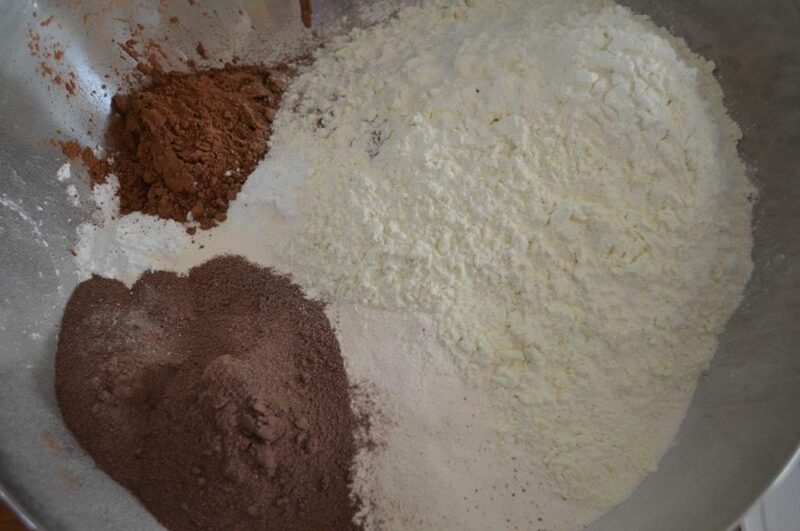 Mix all the ingredients together in a large bowl, And blend until completely combined. Store in tight sealing containers up to 6 months. 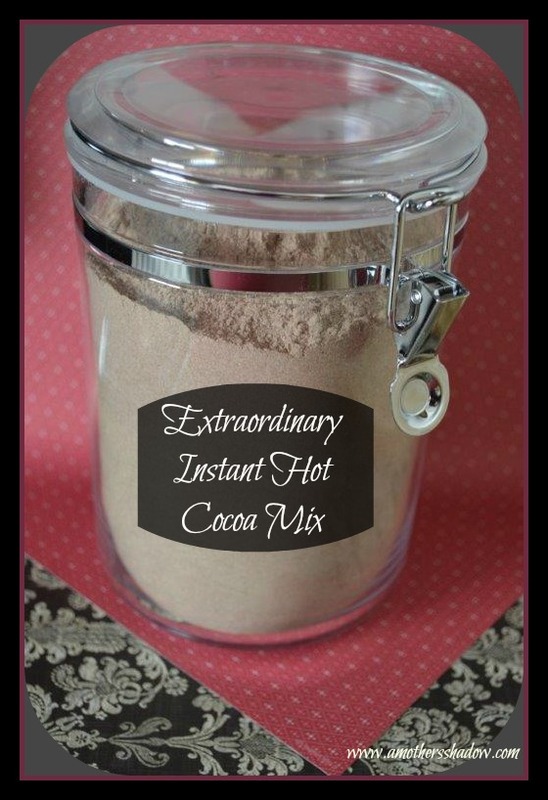 To serve, mix 1/4 -1/3 cup hot chocolate mix to 1 cup hot water to desired strength.